Carrie has 12 years of fixed income experience, focusing on investment analytics and financial technology platforms. She is a Fixed Income Specialist for the firm and is tasked with portfolio and strategy analysis, client service support, and assisting with the firm’s marketing efforts. 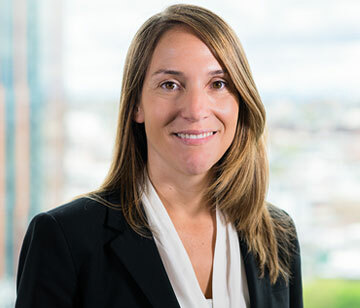 Prior to joining Pugh Capital, Carrie was at Russell Investments where she was responsible for fixed income reporting and portfolio analytical systems. Preceding Russell, she also had roles within FactSet Research Systems and Derivative Solutions. Carrie received her M.Sc. from the ICMA Centre, University of Reading in International Securities and Investment Banking and her B.S. in Business Administration from the College of Charleston.